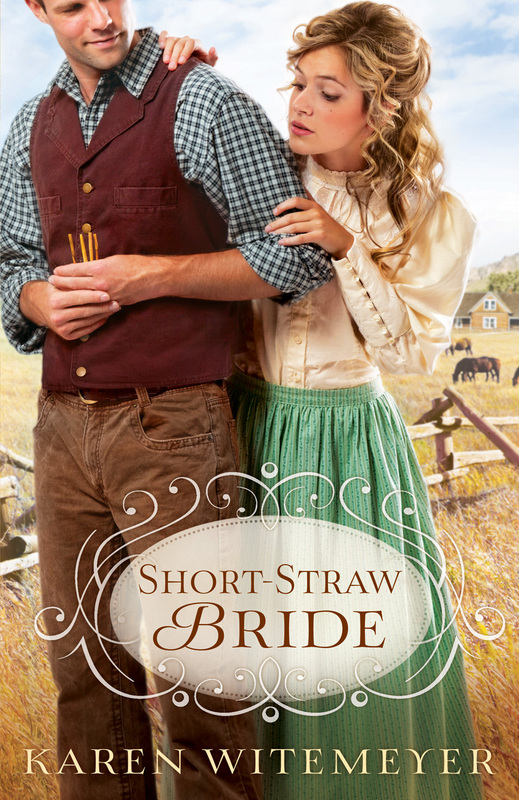 I just finished Short-Straw Bride by Karen Witemeyer and LOVED it! All Travis Archer has ever cared about is his brothers and his land. But when a good deed goes awry, he’s stuck with a bride that endangers both. Here’s the official blurb: No one steps on Archer land. Not if they value their life. But when Meredith Hayes overhears a lethal plot to burn the Archer brothers off their ranch, a twelve-year-old debt compels her to take the risk. The only thing about this book that upset me was the fact that it ended. Karen is a very engaging writer. Her characterization is wonderful. She gets deep into the heads of her characters and you care about them. She uses symbolism in such a way that when it dawns on you what she’s done, you can’t do anything but sigh. I have about five other books to read and review but all I want to do is pick Short-Straw Bride up and read it again! I interviewed Karen recently on my blog so check it out if you’re interested in knowing more about her. The contest has been closed. I just finished Short-Straw Bride last night and I too just loved this book! I couldn’t put it down and it captured my interest from page one! I was hoping for a sequel to find out what happens to the other Archer brothers. Karen assures me that Crockett’s story is coming next! Yippee! Wasn’t it just wonderful? And to know there will be more to the story!!! Thanks for sharing this link with the ACFW Book Club, Sherri! And I totally agree with you–loved SSB!!! It was one book that when I shut the back cover, I sighed. I was satisfied and yet I wanted more.